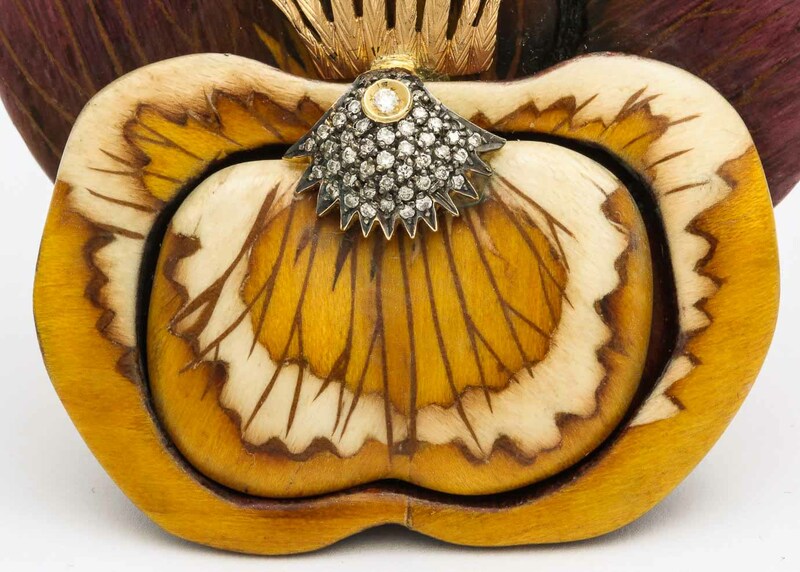 Known for her exceptional use of unusual materials, the Brazilian designer Silvia Furmanovich is especially expert in her marquetry pieces. 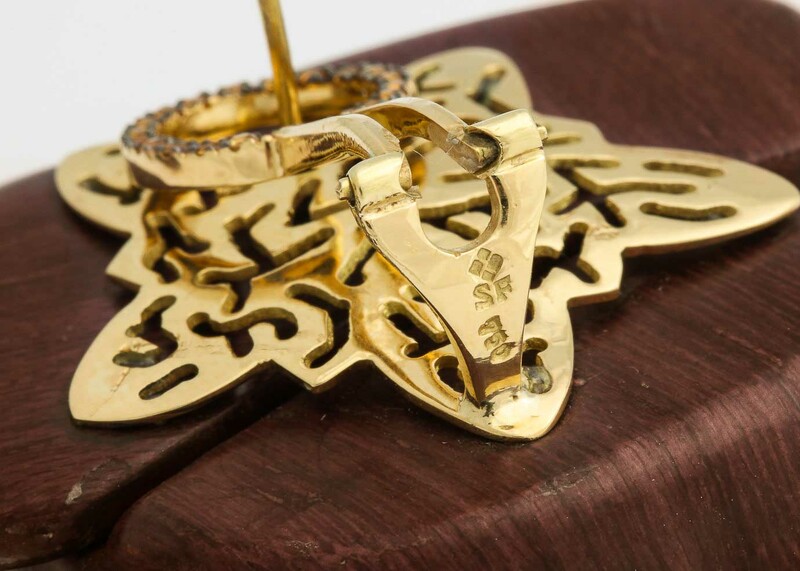 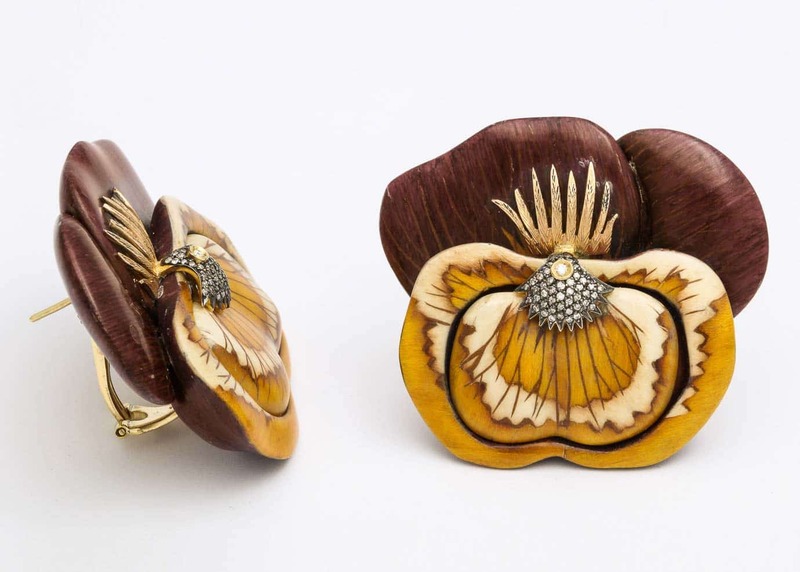 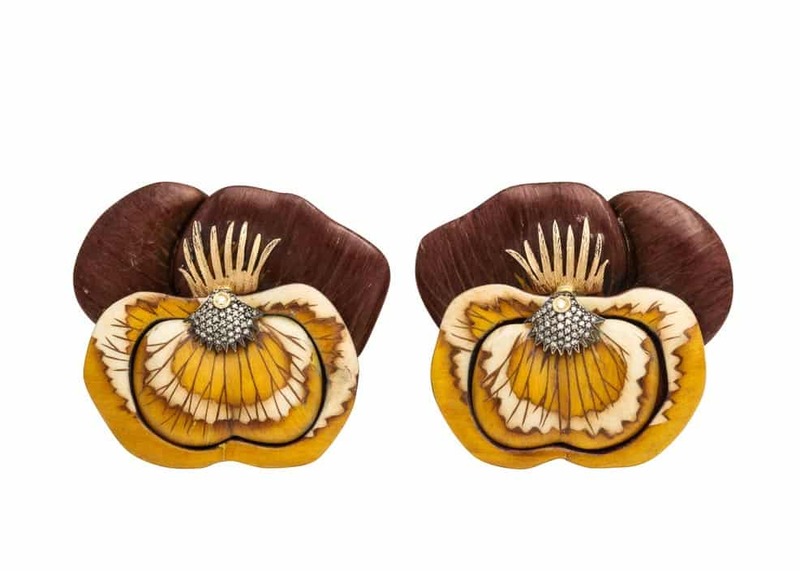 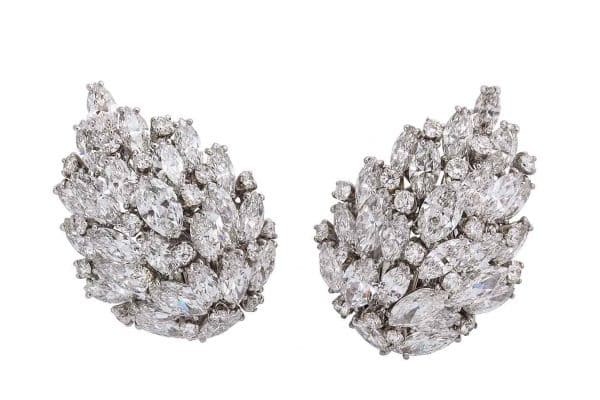 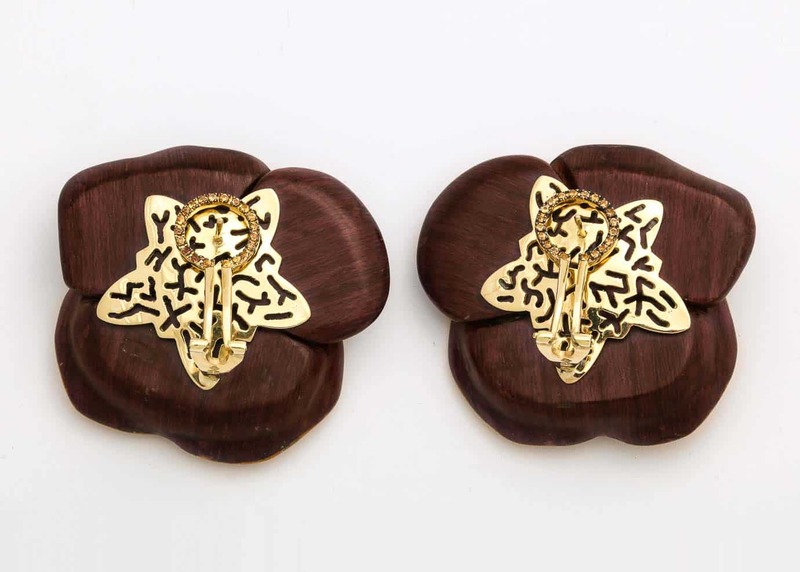 These Pansy earrings feature light brown diamonds (.37 carats) and yellow sapphires (.59 carats) set in 18k yellow gold and yellow and brown wood. 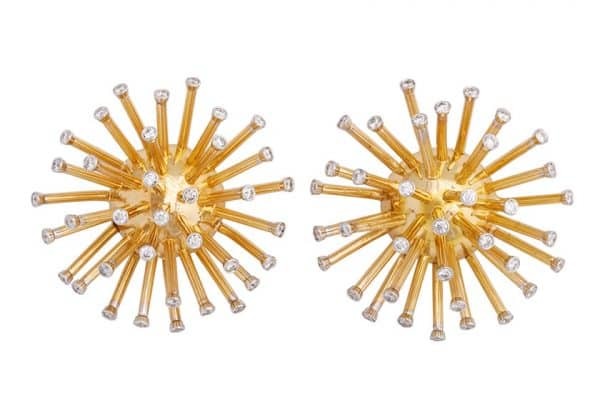 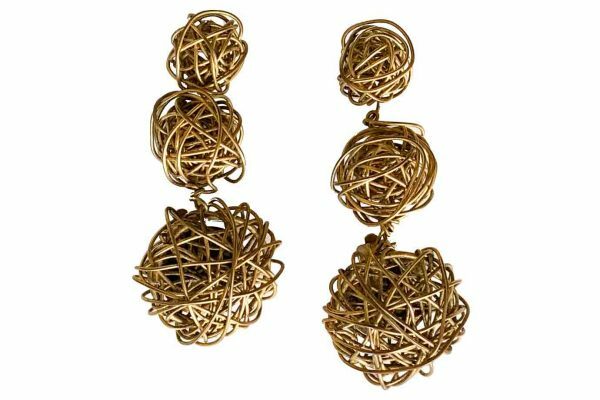 They are large (2.5 in) and light and maybe clips or pierced earrings. 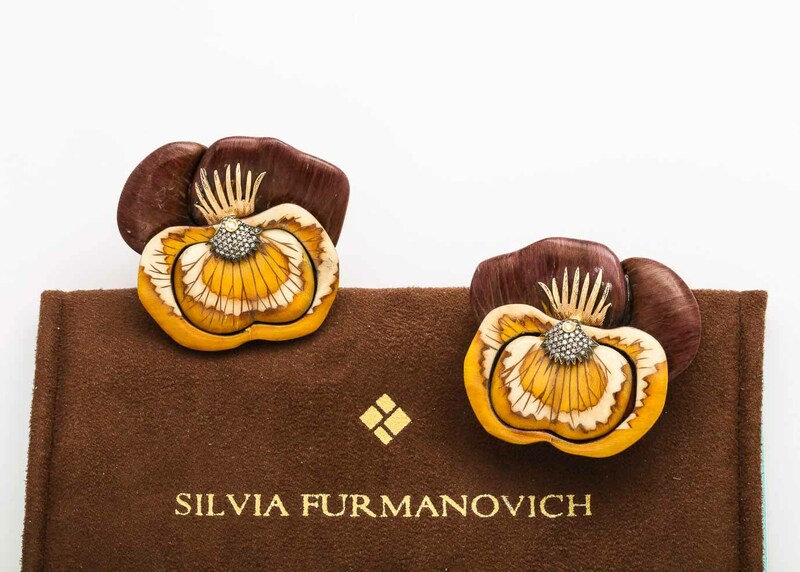 Signed Silvia Furmanovich in original pouch.